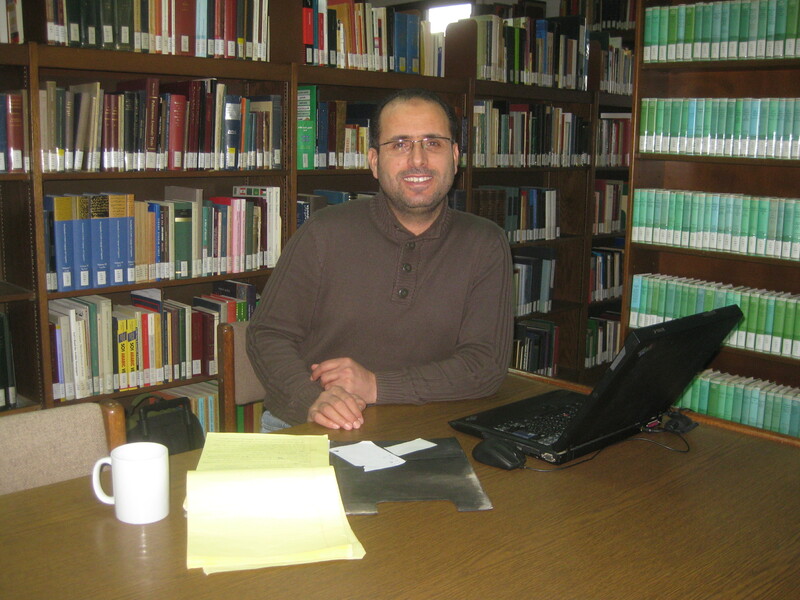 A fixture of ACOR and the ACOR Library through the years, Jordanian archaeologist Zakariya Na’imat is now working to complete a Ph.D. in Islamic Archaeology at the University of Bonn. Photo by Barbara Porter. From time to time, the ACOR Blog highlights the careers and accomplishments of notable Jordanians in the field of archaeology and cultural heritage management. 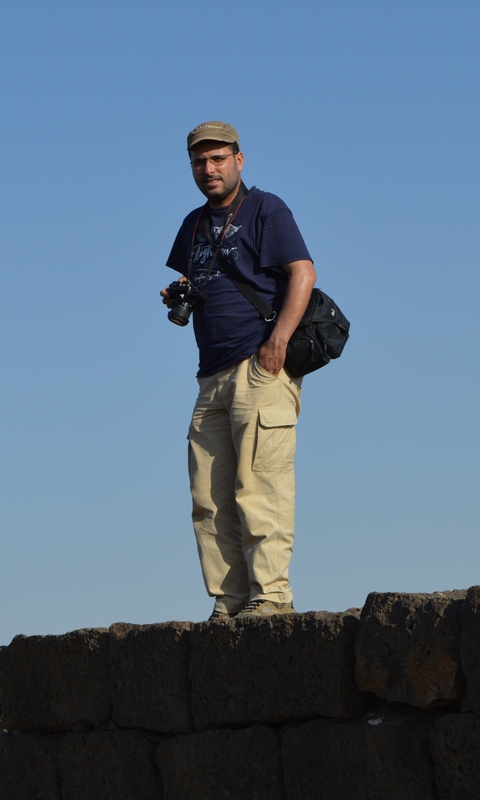 Our most recent profile is of Zakariya Na’imat, a Jordanian archaeologist who has been affiliated with ACOR for more than 15 years. Zakariya first began studying archaeology at Mu’tah University near Karak, where he received his B.A. in 1988. He continued his studies at Yarmouk University in Irbid, earning an M.A. in Archaeology and Anthropology in 2004. He then returned to Mu’tah for several years, first as a research assistant and then full-time instructor in the department of archaeology and tourism, where he helped lead excavations at the early Islamic site of Shuqayra al-Gharbiyya. Over the years, he also worked on various excavation projects in Syria, Turkey, and Bosnia and Herzegovina. In 2014, he left Jordan to enter a Ph.D. program in Islamic Archaeology at the University of Bonn in Germany. He is grateful for the encouragement and support he has received from archaeologist and ACOR Board member Bethany Walker who is on the faculty of the Annemarie Schimmel College for Mamluk studies at Bonn. Donate today to ACOR’s Jordanian Graduate Student Scholarship fund and support the education and professional development of Jordan’s next generation of archaeologists and cultural heritage specialists. Click here to download more information about this scholarship. Since beginning his archaeological studies at Mu’tah University, Zakariya has participated in numerous excavations throughout Jordan, the broader Middle East, and Europe. 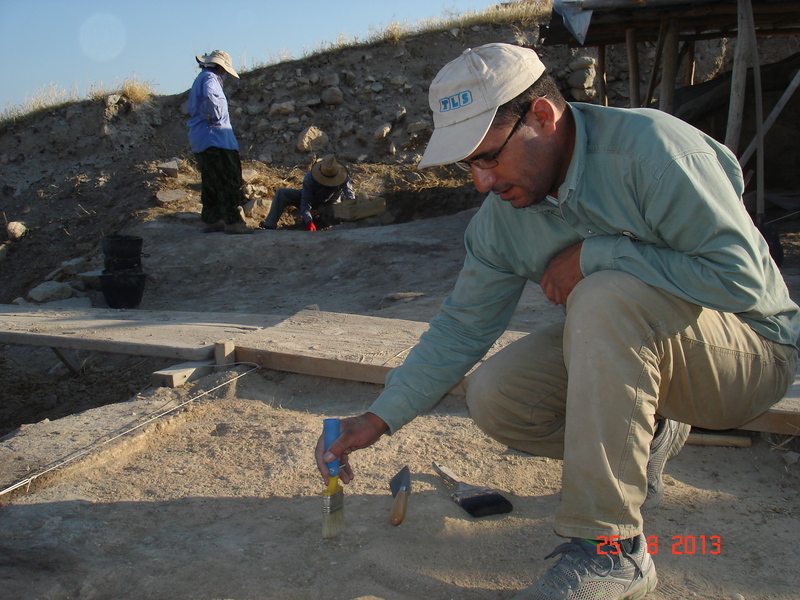 He is shown here excavating a square at the ancient site of Arslan Tepe in eastern Turkey. Photo courtesy Zakariya Na’imat. Zakariya’s long affiliation with ACOR began during his days as a master’s student at Yarmouk, when he worked part time as an assistant in the ACOR Library, answering questions for patrons, re-shelving books, and performing myriad other tasks. ACOR Librarian Carmen “Humi” Ayoubi remembers how Zakariya’s command of English improved dramatically during those years, as he interacted with ACOR scholars and had the opportunity to read many books and articles in English. Similarly, he began to study German with Margret Koenen, wife of University of Michigan professor Ludwig Koenen who was in residence at ACOR in 2000 and 2002 working with the Petra Papyri. Zakariya also often accompanied former ACOR Director Pierre Bikai to downtown Amman where they would buy Arabic-language books to expand the library’s collection. Over the years, Zakariya’s research has also been supported through ACOR’s fellowship program. He was among the first Jordanians to be awarded the Kenneth W. Russell Fellowship, which supported his M.A. field research at Yarmouk University in 2001, and in 2002 he received a travel grant from the Joukowsky Family Foundation to deliver a paper at the annual meeting of the American Schools of Oriental Research (ASOR). He received the ACOR Travel Scholarship to attend the annual ASOR conference again in 2011, and most recently, in 2014, was awarded the Kenneth W. Russell Fellowship for a second time to support an archaeological survey of the Wadi Hasa region of southern Jordan. Zakariya observing the ruins of the Umayyad site of Usaykhim, north of Azraq. Photo by Ahmad Thahir. In a recent interview, Zakariya reflected on what he has learned during the course of his long academic journey through Jordan’s archaeology. For one, he would like to change the way archaeology is taught in Jordan, which he believes all too often emphasizes rote memorization rather than active involvement in field work. But in explaining the latter, he points out the relative dearth of Jordanian projects featured in the pages of the Annual of the Department of Antiquities of Jordan, as opposed to the wealth of information available about sites excavated and published by long-running foreign projects. Zakariya also hopes to help build public awareness of the importance of Jordan’s rich cultural heritage. It is unfortunate, he says, that ordinary people have many misconceptions about ancient remains that often lead to their intentional destruction. A notable example is how treasure hunters in rural communities often search for imagined “Ottoman gold” they believe is buried at nearby archaeological sites. Given the highly destructive nature of such activities, Zakariya believes professional Jordanian archaeologists should play a stronger role in rectifying misconceptions about archaeology and thereby help preserve Jordan’s heritage for future generations.